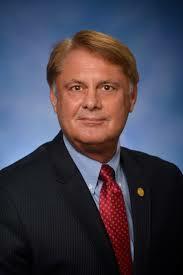 According to an interview on the Big Show, and other confirming sources, it appears State Representative Larry Inman has his eyes on the executive office of Michigan. Don’t find it so hard to believe folks. After redistricting In 2012, Inman briefly considered taking on incumbent Dan Beneshek. It is entirely possible that Inman might believe he could do well in a multiple candidate race, as it was the 9 way contest in 2014 that put him in office. As we all know, there will be multiple contenders for the GOP spot because of the weakness in the Dem bench, and each candidate will draw nominally from each other. While he has not officially declared, he has plenty of time before the upcoming Mackinac Republican Leadership event which will tell the real story. If you listen to the interview, start at the 9:15 spot.